Innovative Safety Systems Ltd (ISS) is presenting a new range of products at the CTS Show in Gloucestershire on 6th & 7th July. As well as its portfolio of superior reversing camera systems, hard disk recording and reverse radar technology, ISS is showcasing a Fuel Saving Module, which offers savings of up to 20%, and an expanding portfolio of LED light bars and warning beacons. In response to customer demand, and after months of investigation and testing, ISS decided to incorporate a fuel saving device into its portfolio of products. ISS has also proven to be the company to call for customers that require bespoke lighting products. When North East Lincolnshire Borough Council wanted an LED alternative to the traditional revolving cab beacon, they approached ISS who in turn developed a new, more robust, easier to fit and a more effective lighting beacon. The North East Lincolnshire Fleet is now fully equipped with ISS equipment, including reversing radar, hard disk recording and LED Lighting. 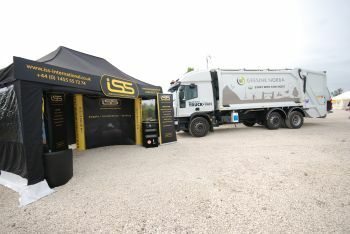 Visitors can view ISS products and meet the team on Stand 21 at the CTS Show.